Chasing Davies: Kansas City Plaza FNO Deals to Know! 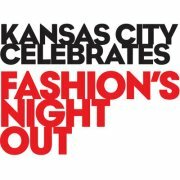 Kansas City Plaza FNO Deals to Know! Banana Republic 25%-40% off select new arrivals and regular merchandise. Enjoy 25% off when you enter a raffle benefiting AIDS Services. Gift cards (one of which is for $100) given to the first three customers who walk through the door at 5pm, 6pm, and 7pm. Bare Escentuals Enjoy sneak peeks, limited edition products and a FREE FNO convertible tote with any $50 purchase! Get a bonus mini PrimeTime eyelid primer with purchase of the new palette. Beauty Brands Mini makeup tips, paraffin treatments, MicroDermabrasion demo, register to win gift basket and free samples for the first 200 attendees. Cole Haan Meet Chelsea, our sleek day-to-night pump, enjoy treats while you shop, enter to win a sweepstakes! Francesca’s Collections Strolling models with coupons, win a jewelry set, enjoy pink lemonade and snacks. Gap Get 25% off your entire purchase when you donate $10 to Millennial League - a group of young adults belonging to the millennial generation who share a common interest in promoting HIV/AIDS awareness. Halls Shop late from 5-10 p.m., see hot fall styles, live models, DJ Mike Scott, fashion events (from Eileen Fisher, Chanel, Tracy McClain, Rag & Bone and more), score gifts-with-purchase (from Habitual Denim, Rag & Bone and more), register-to-wins (from Marc by Marc Jacobs, Mulberry, Frye, Laundry, Persol, Eileen Fisher and more), and celebrate fashion at its best. Helzberg Diamonds Receive a free pair of pearl earrings just for coming to Helzberg Collections, (one pair per customer while supplies last) plus, 10% of all sales donated to the local Make-A-Wish Foundation. J. Crew Enjoy a stylish FNO 2012 souvenir, a custom makeup bag and FACE Stockholm nail polish with your purchase of $150 or more. kate spade new york Enjoy complimentary mini indulgences from Seasons 52, plus great giveaways and discounts. N Valentino Enjoy cupcakes and champagne, 20% off contemporary men’s and women’s collections, plus custom fittings from Paige Premium Denim, Joes Jeans, Hudson, Rich and Skinny and AG. Standard Style Boutique DJ Matt Baldwin + Beatbroker, enjoy drinks and small bites by Gram & Dun, see models in this season’s fashion highlights and receive personal styling tips from top stylists in Kansas City to help you build the perfect fall/winter wardrobe.